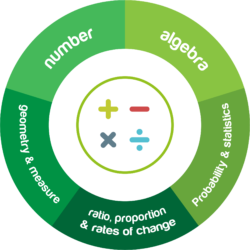 The GCSE Overview Assessment is the first part of the GCSE process for maths (not available for English), and is designed to provide a snapshot of the learner’s ability. The assessment comprises 40 exam-style questions which are based on analysis from the main awarding bodies’ most recent exams for the 9-1 specifications. 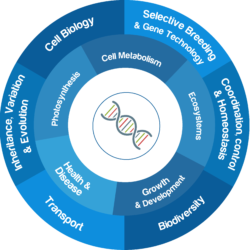 The GCSE Diagnostic Assessment is the second part of the GCSE process, and is designed to identify learners’ individual skill gaps. Once the assessment has been taken, the system produces an Individual Learning Plan (ILP) which highlights areas of strength and weakness. This is designed to give teachers and students guidance on which areas they need further support for learning and development. The tracking and reporting information produced by the Diagnostic Assessment is extremely useful, assisting tutors and managers with lesson planning, learner management, and for Ofsted inspection purposes. The third part of the GCSE process is the GCSE Learning Resources. These are made available to the learner once the Diagnostic Assessment has been completed. The Resources enable individuals to fill in their identified gaps in knowledge (skill gaps) by offering information, examples, and demonstration videos in order to teach the various topics. Learners can pause and replay the videos at any time, giving them flexibility and ensuring they have completely understood each topic. The Resources are fully interactive and self-marking, allowing the learner to get an immediate result and move on to the next stage quickly. The fourth and final element of the GCSE solution is the Exam Practice. The GCSE Exam Practice is designed to assist each learner with their preparation and revision for GCSE English and maths exams. Exam-style practice questions – accompanied by additional support resources – are presented to the learner to work through at their own pace; these cover both the foundation and higher tiers. Our GCSE Exam Practice now includes End Tests, to confirm competency in previously weak areas. The Exam Practice is extremely valuable for organisations, bridging the gap between learners developing their skills taking the physical exam. We have recently developed a series of Walking Talking Mocks, using engaging video content to prepare students for their exams. Find out more. 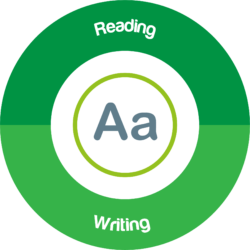 The GCSE solution is compatible with tablets and mobile devices; however, we do not recommend that learners carry out the GCSE Screener or Diagnostics on mobile devices as some browsers contain automatic grammar and spelling checkers which cannot be manually disabled. 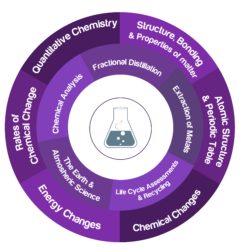 The GCSE Science solution from bksb has been specifically designed to support students in improving their skills and knowledge in line with the GCSE Combined Science syllabus for 2018. This product includes original video learning content and summative assessment questions, and covers both foundation and higher tier material. Although our GCSE Science solution is geared towards individual learning and revision, it is equally suited to classroom and flipped-learning environments. As with all bksb products, learners can use our science content on any device – desktops, laptops, tablets and mobiles are all supported. 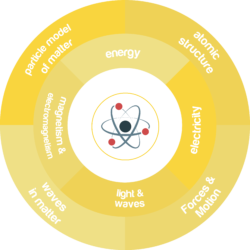 PHYSICS, BIOLOGY AND CHEMISTRY ARE AVAILABLE NOW!